Menehunes 85 Defeat Taiwan Center 77 in the Championship game to win the FIRST Menehunes Invitational Basketball Tournament. Billy Hofman and Jarrod Carroll were the Tournament Co-MVP's, Matt Rosser and Jimmy Miyasaka made the All Tournament team. Dirty girls 4 Life is a really scrappy defending team that never backs down. They came out and fought for there lives to play another game. They were nailing the long bombers. Superstar basketball couldnt find an answer however made a run for it in the second half but Dirty Girls 4 Life put the game away at the end. Dirty Girls advances to the Consolation Championship game. Menehunes-LVI 78 defeated PTBA 65, this game went back and forth from the start but then J.R. Buensuceso took over and had the game high 30points, while Ken Li tailed in with 18points for PTBA. Menehunes-LVI advance on to play Dirty Girls 4 Life for the consolation championship game. #7th Nationally ranked Menehunes 67 defeat #17th Ranked Walnut JL 61, Walnut JL was lead once again by Eddie Degerman with 21points-16rebounds, Alex Mak had 13points-4 assists, and Brandon Kwok had 12 points 4-3pointers. Menehunes were lead by Jarrod Carroll 22points 3-3pointers, Jimmy Miyasaka 16points 3-3pointers-10rebounds, and Matt Rosser had 14points-12 rebounds. The game was close all the way until the very last minute where Menehunes took a 3 point lead and sealed the game with free throws by Jimmy Miyasaka to advance onto the championship game. The second of the semifinal games was a classic. Two of the top 5 ranked teams in the country going at it. Drew Bryant went off this game for Taiwan Center. Bluecanvas was short handed without Professional Basketball Japan bound Emil Kim and Korea Basketball Association guard Kelvin Kim. 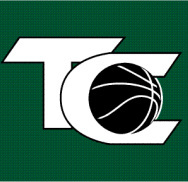 #3 ranked Taiwan Center 55 defeated #2 ranked Bluecanvas 45. Justin Yun lead the way for Bluecanvas scoring 17points 4-3pointers, Sam Kim tailed in with 18 points. For Taiwan Center Drew Bryant lead the way with 15points 3-3pointers, Andrew Der 14points, and Swing Chuang tailed in with 10points to help get Taiwan Center to the championship game. The consolation championship game went back and forth. Dirty Girls 4 Life 82 defeats Menehunes-LVI 71. Dirty Girls 4 Life was lead by Joseph Vitug 16points, Justin Santiago 14points, Billy Nguyen 14points, Ryan Castro 13points, and Patrick Borricano 12points. Menehunes were lead by Anthony Nocon 17points, and Reuben Medina scored 15points. Dirty Girls 4 Life is the Menehunes Invitational consolation champions, 5th place. #2 national ranked BLUECANVAS 65 defeats #17th ranked Walnut JL 62. Bluecanvas was lead by Suk Ahn 20points, Justin Yun 15points 4-3pointers, and Sam Kims 8points. Walnut JL was lead by Eddie Degermans 26points-13rebounds, John Limsakul 9points, Brian Sherman 9points, and Alex Mak 8 points. This game went back and forth and Walnut JL had a shot to tie it up at the buzzer but could not connect. BLUECANVAS takes home 3rd place for the Menehunes Invitational and Walnut JL is the 4th place. The featured game of the tournament was Taiwan Center vs. Menehunes. Green vs Green, Teammates vs Teammates. In the past Taiwan Center has a 1-0 record against Menehunes as they defeated them in the 2009 Tigers Basketball Tournament but it was time for some revenge this year. The game of the tournament went down in a classic. The host Menehunes took on Taiwan Center. The two has a close friendship with each other but this game was for all the marbles. #3 ranked Taiwan Center started off the game hot. They were up by as much as 14 points in the first half before the Menehunes rallied back to tie it up at the half 40-40. The Menehunes chipped away in the second half but due to the intensity of the game, Menehunes leading scorer Jimmy Miyasaka cramps up with 15 minutes left in the second half and did not return. However he was coaching Menehunes on the sideline. With 10 minutes to go Taiwan Centers scorer Andrew Der also goes down with cramps and also did not return. The game went back and forth and the lead was no more than 4 points. The Menehunes chipped away at the end and pulled out the victory 85 to 77, for the Menehunes Invitational Championship. Menehunes were lead by Co-MVPs Billy Hofman and Jarrod Carroll both scoring 20points, All Tournament team Matt Rosser 14points and Jimmy Miyasaka’s 13points (in the first half, did not play due to cramps in the second half), Jun Uchida 11points, Anthony Nocon 7points, Bryant So 4points, and Ryan Lee’s 2points. Taiwan Center was lead by All-Tournament Team Drew Bryant’s 28points and Andrew Der’s 16points, Hon Trieu 12points, Mike Lai 9points, Cory Young 7points, Steve Baik 3points, and Swing Chaung 2points. Menehunes goes down in history as the first winners of the Menehunes invitational basketball tournament. This tournament features the best Asian American Teams in Southern California. #7th Nationally ranked Menehunes opened up the tournament playing against Dirty Girls 4 Life, the 3 time Asian Basketball Association Champions. These teams went at each other and was the most exciting game in the opening round. 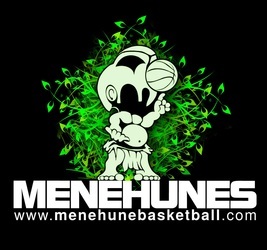 Menehunes rallied back to take the lead and win the game 69 to 66. Andrew Quan lead the way for Dirty Girls 4 Life with 17points, 4-3pointers, and Menehunes Jimmy Miyasaka had 31points, 5-3pointers to lead the way. #17 nationally ranked Walnut JL defeated Superstar Basketball(A league in Hollywood/Walnut) 79 to 65. Eddie Degerman lead the way for Walnut JL with 20points-20rebounds, and Ray Hong lead the way for Superstar Basketball with 20points, 5-3pointers. #3 nationally ranked Taiwan Center 80 defeated PTBA 49, this game was one sided and Taiwan Center showed why they are a top team in the country. They have superior athletes like Drew Bryant- 30points, Swing Chuang- 15points, Andrew Der- 16points, and for PTBA Henry Wang had 19points to lead there team. #2 nationally ranked BLUECANVAS, a heavy favorite to win the tournament, 69 defeated Menehunes-LVI 45. The game started off close until Justin Yun for Bluecanvas got going making 5-3pointers in a row, and ended up with a game high 21points, 6-3pointers. Reuben Medina and J.R. Buensuceso all had 8 points for Menehunes-LVI. Thank you to the teams that are participating in the FIRST Menehunes Invitational Basketball Tournament. Lets make this a competitive and eventful weekend of basketball. Here are the 8 teams participating in this years tournament. 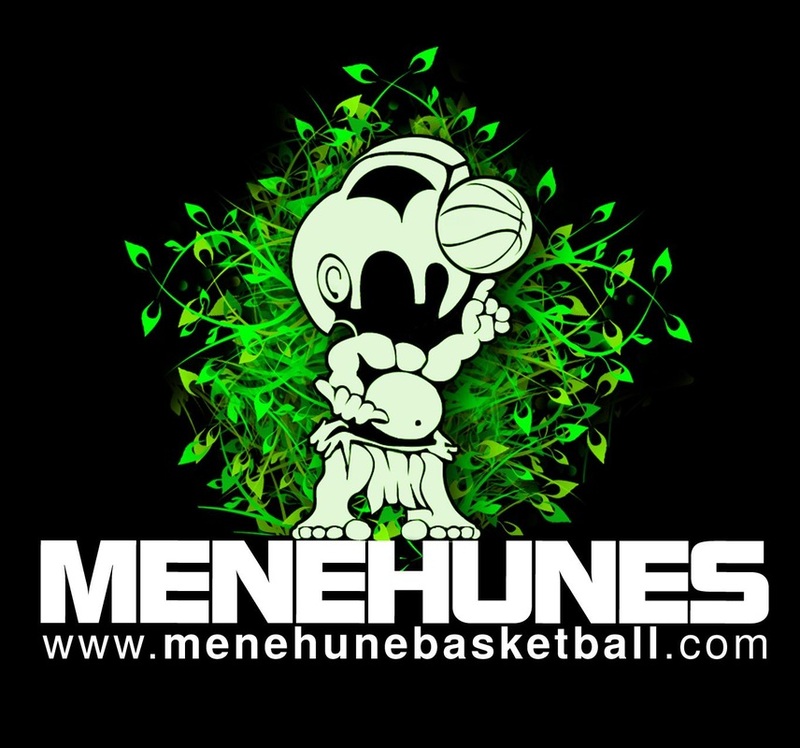 The Menehunes Invitational tournament will take place on Saturday and Sunday, August 13-14, 2011, at Best Fit International Gym. It will be an 8 team bracket tournament format, in the AA-level of competition. It will be an Asian American Basketball Tournament, which means you have to at least by 1/2 Asian descent. Menehunes will be working with Prime Time Basketball Association, for game by game stats, referees, and gym location. Stats will be updated on there webpage. The commissioner of myPTBA.org, Eric Chao, and Head of officiating Ace Lee, will be working with Menehunes President, Jimmy Miyasaka, in hosting the Menehunes Invitational Basketball Tournament. 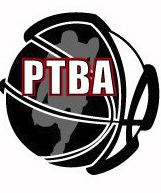 PTBA is also SPONSORING the CHAMPIONSHIP Trophy! THANK YOU PTBA! Prime Time Basketball League has been in the Rowland Heights area and has very organized Asian leagues going on yearly at BestFit Gym. Superstar basketball has been in the Walnut area and is an open division, having great athletes in there league. Both leagues offer game by game stats, player stats, and an updated website on a regular basis. Please check out the website links above. Walnut JL has always been a competitive team in the Asian Basketball world. They play in some of the top Asian leagues and tournaments in the country(Mofufus, Nisei Week Hoops, PTBA, Taiwan Center Tournament, and now the Menehunes Invitational). They played against some of the best Asian American teams so they are a really experienced playing against high caliber teams. They have a solid squad but Alex Mak is the heart of the team. He is there Mr. Offense! Watch out for his flashy and crafty moves out there on the court and Alex has a great supporting cast of shooters as well as some big men in the paint. Coach Jimmy Lee has been leading this team for a while now so they definitely have the experience playing together. Prime Time Basketball Association (PTBA) is an Asian Basketball League that runs in Rowland Heights area in California. They been around for quite some time and has some of the best Asian-American Basketball players playing in there Asian League. 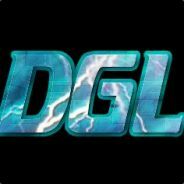 There team will consist of there top players in there league and should be an All-Star team of the league. 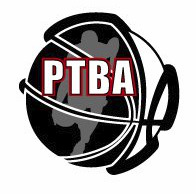 League commissioner Eric Chao and league director Ace Lee will be the one putting together the PTBA team. Currently the #3 ranked team in the country, Taiwan Center Basketball team was started by Sean Yu and has emerged into one of the top Asian Basketball Teams in the country by winning some of the top Asian Basketball Tournaments in Southern California(Tigers 2010, 2009-11 Nesei Week, FOR, Taiwan Center Tournament, Imperials). Sean has build this team by recruiting some of the most athletic Asian players around. They have a solid all around team. This is there Las Vegas Invitational Team traveling to the tournament. Drew Bryant is one of there offensive powers on the team. TC also has Mike Lai, Ben Hwang, and Swing Wong to battle in the paint and are surrounded by shooters like Andrew Der and Larry Tieu. Hon Trieu will be the floor general out there leading the pack. 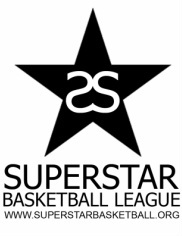 Superstar basketball is lead by Hanz Jimenez, who is the league commissioner. Hanz has one of the most competitive OPEN division leagues in Southern California that has a lot of talent in it. Hanz is selecting his top Asian players to represent superstar basketball in the Menehunes Invitational Tournament. They will be a very skillful and talented bunch of players that make up this team. Hanz himself will also be on the roster to play for his organization. They are ready for the competition and are hungry for the title. Menehunes-LVI is the Menehunes Las Vegas Invitational Roster for the LVI tournament in September. Menehunes-LVI will have a few additional players that will be joining them. J.R. Buensuceso is one of the Menehunes quickest players and can put up points in a hurry. Menehunes are also led by Ryan Lee, a veteran for the Menehunes organization, will be the player captain for this team. Menehunes will make there A+ Open division debut in the LVI this year in September and this tournament will be great practice for the big tournament. Some players will be doing a double duty for playing for two Menehune teams. Menehunes will be running and gunning out there on the court. Dirty Girls 4 Life is a relatively new team to the Asian basketball scene. We formed just over a year ago by Billy Nguyen. After only our second season in ABA we won the 6'3" and under championship. After a brief absence from ABA we won again in our return during the May season. We won the championship again during the june season. We have also entered many college tournaments including a 1st place finish in the UCI Tomo no Kai tournament and a 2nd place finish in the UCLA tournament. We're a young team that's looking to make a splash on the Asian basketball scene. Currently the #2 ranked team in the country, Bluecanvas is one of the heavy favorites to win this tournament. They just recently won the Korean Olympics and the Korean Nationals. They are the real deal and has the most talented roster with some Korean Pro players. But the heart and the leader of this team is Justin Yun. He can light it up out there from anywhere on the court with his shooting. Emil Kim is a solid forward who has NCAA Division 1 experience at UCI and will be taking his talents to the professional world who can any day be the best player on the floor. Kelvin Kim another player with NCAA Div 1 experience at UCLA and Div 2 experience at UCSD has taken his basketball talents to the professional league in Korea and will be the floor leader for BLUECANVAS. Suk Ahn is a combo guard who can put points up quickly as well as get everyone involved. Bluecanvas has some of the biggest and talented Asian ball players such as Brian Kang and Jason Lymn. This is an exciting team to watch and to be a fan of. Coach John Han is a passionate leader out there. His knowledge of the game is a reason why BLUECANVAS is a top ranked team in the country. All Players must be at least 1/2 Asian. Considered Asian or born and is native from these countries: Afghanistan, Armenia, Azerbaijan, Bangladesh, Bhutan, British Indian Ocean Territory, Brunei, China, Georgia, Hong Kong, India, Indonesia, Japan, Kampuchea, Kazakhstan, Korea, Kyrgyzstan, Laos, Macau, Malaysia, Maldives, Mongolia, Myanmar, Nepal, Pakistan, Philippines, Singapore, Sri Lanka, Taiwan, Tajikistan, Thailand, Turkmenistan, Uzbekistan and Vietnam. Any protest of Asian Players, will be needed to be brought up to the Menehune Committee for proof of Asian Descent. Bring birth certificates if you have a Mix-Asian that doesn’t look Asian and please scan and email it to Email@MenehuneBasketball.com prior to the tournament. 2-20minute halves, last minute of the first half will stop on every whistle(NOT on MADE baskets), and last 2 minutes of the second half will be stop time on every whistle (Unless its a 11point or more lead), (Does NOT stop on Made Baskets). 35 second shot clock will be enforced. Double Technical foul or ejection of the game, player will not be able to play the remainder of the game and will be asked to leave the gym. Player can play the next game but if ejected again will be disqualified for the rest of the tournament. Any protest will have to be presented to the Menehune Basketball Committee before the game starts. Once the game starts then the game will take place. Is there a better player then Michael Jordan? The game ball will be nothing but the best. The Air Jordan brand game ball is the same ball what all the elite colleges that are sponsored by NIKE. This type of ball, NIKE ELITE, is used by colleges like: DUKE, Maryland, Stanford, USC, Texas, and other big name colleges in the country. Every Asian league uses the TF-1000, but this tournament is going to be different and use a unique game ball.